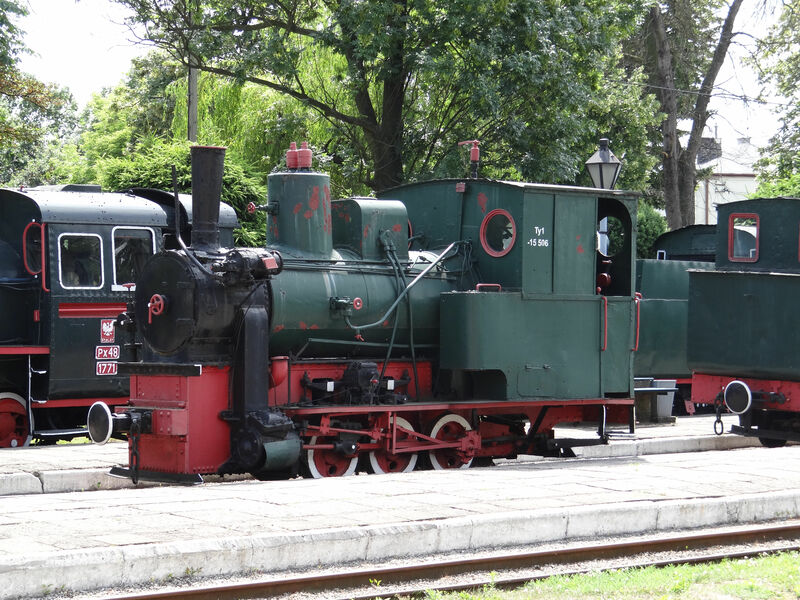 The narrow gauge steam engine Px48 no. 1758 "Julia" was built by the Chrzanow machine factory in 1952 based on an originally Russian model. Its gauge width is 750 mm. 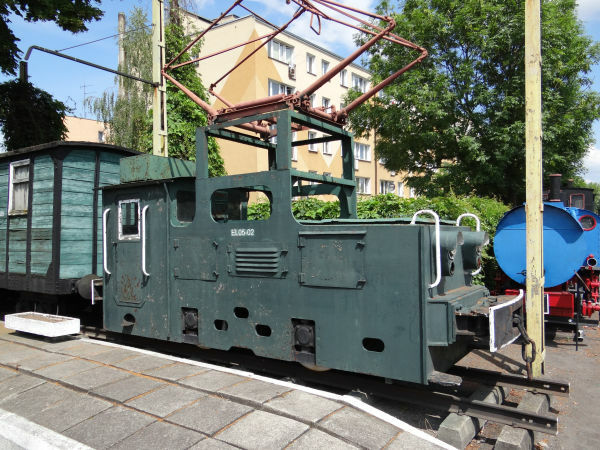 It has been kept as a monument by the Ostroleka station since 2013. Picture from Ostroleka 27.6.2015 by Ilkka Siissalo. Same Px48 locomotive as above, but seen from the front. Picture from Ostroleka 27.6.2015 by Ilkka Siissalo. 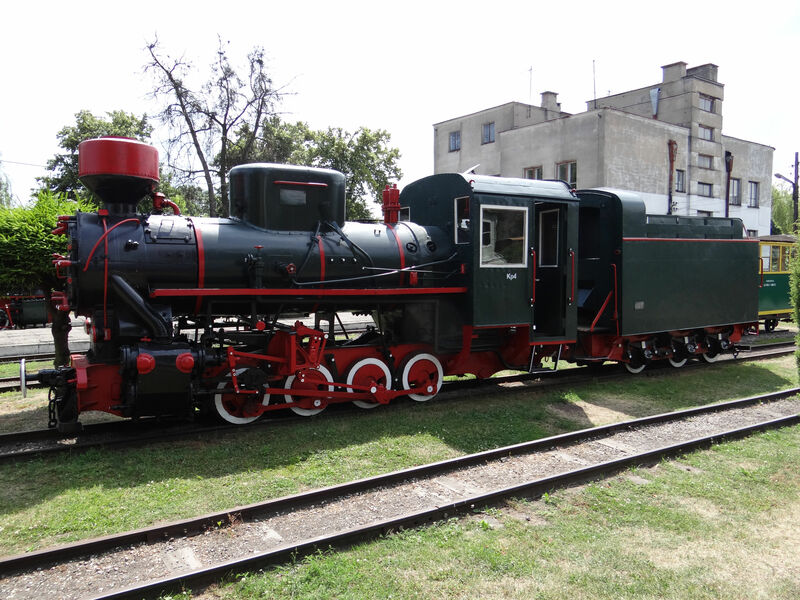 Tyb 3417 narrow gauge steam locomotive of PKP. It was built 1896 at Krauss in München, Germany. Its power rating was 66 kW and top speed was 25 km/h. It was used for over 80 years at a sugar refinery plant in Peiplin on 750 mm track. 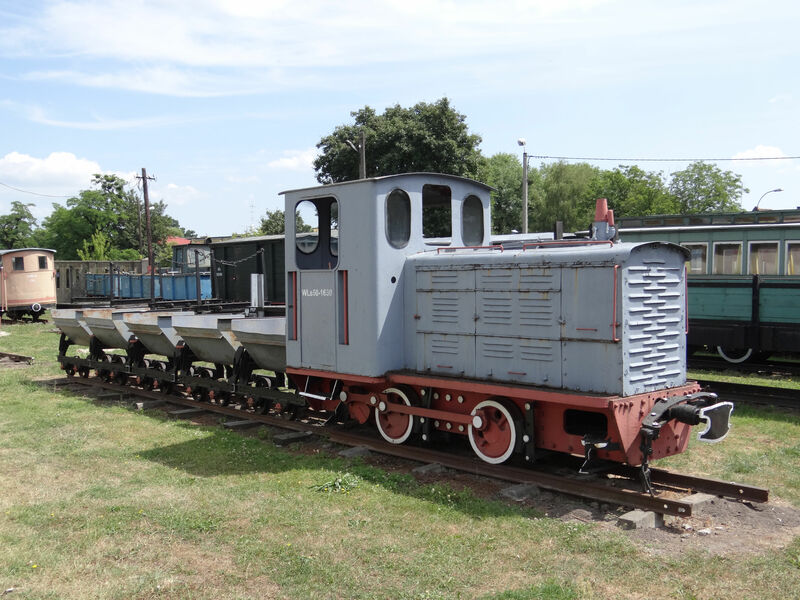 Picture from the narrow gauge museum in Sochaczew 28.6.2015 by Ilkka Siissalo. A track inspection car from OTL Hajnówka. 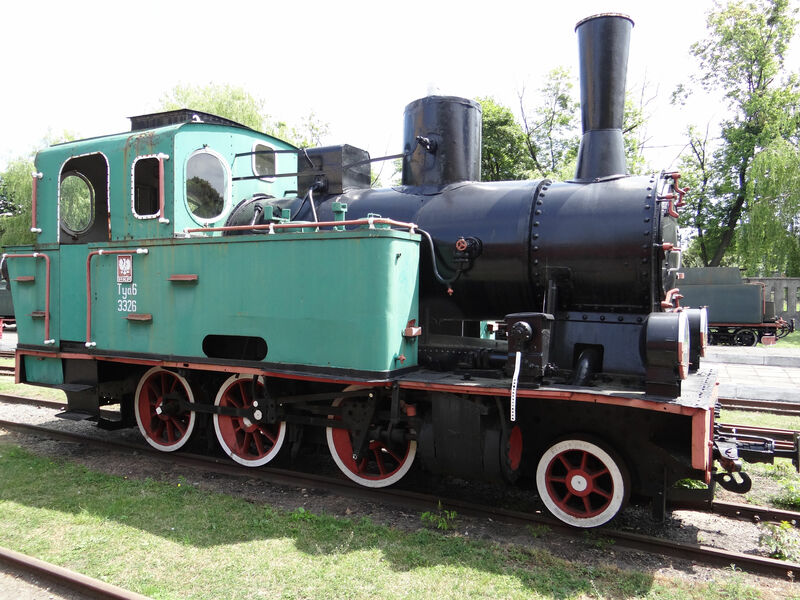 Picture from the narrow gauge museum in Sochaczew 28.6.2015 by Ilkka Siissalo. Salon wagon of Wojciech Jaruzelski. Picture from the narrow gauge museum in Sochaczew 28.6.2015 by Ilkka Siissalo. 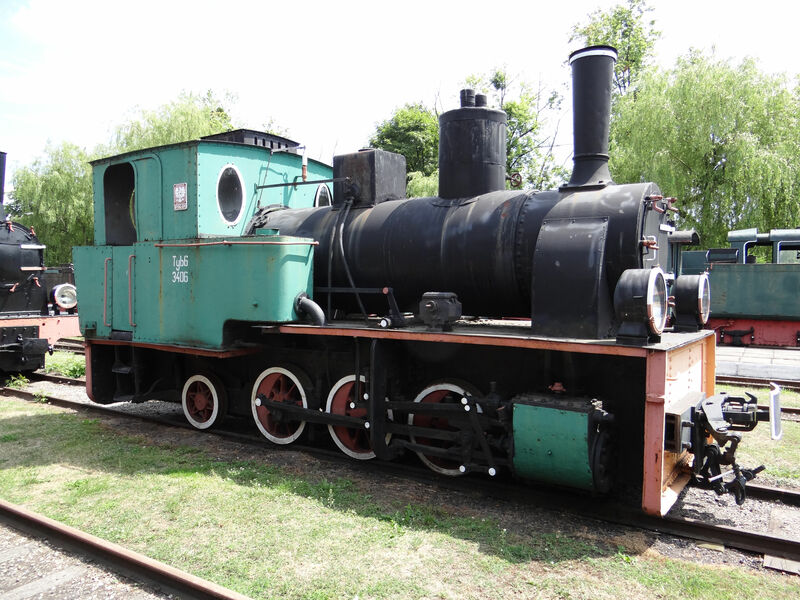 Third class coach Bxh 462 of a 750 mm narrow gauge train. 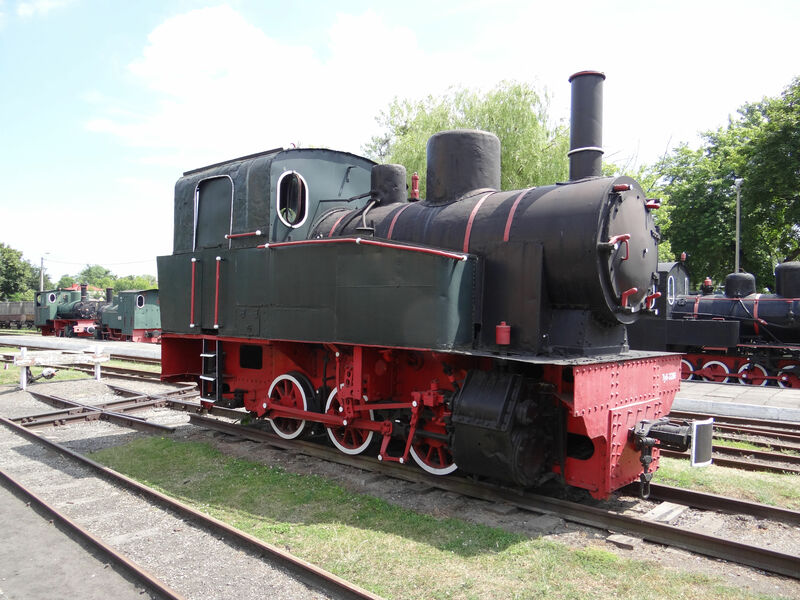 Picture from the narrow gauge museum in Sochaczew 28.6.2015 by Ilkka Siissalo. 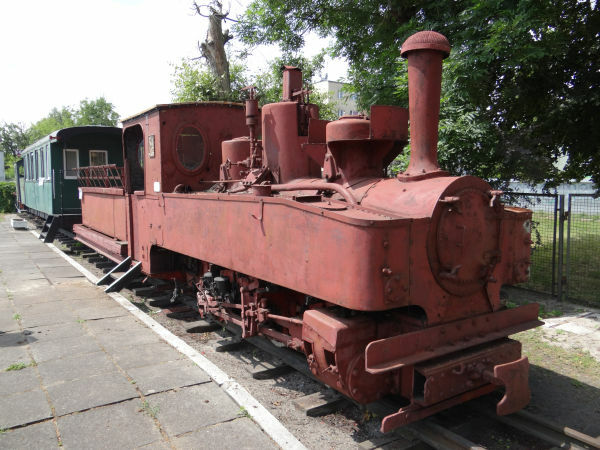 An unidentified 750 mm gauge locomotive. Picture from the narrow gauge museum in Sochaczew 28.6.2015 by Ilkka Siissalo. Unfortunately the museum did not give any hint to what this locomotive has been, but it looks like an early 1900s model. The only visible markings were Siemens-Schukert logos. Note the very crude mock-up pantograph. Picture from the narrow gauge museum in Sochaczew 28.6.2015 by Ilkka Siissalo. 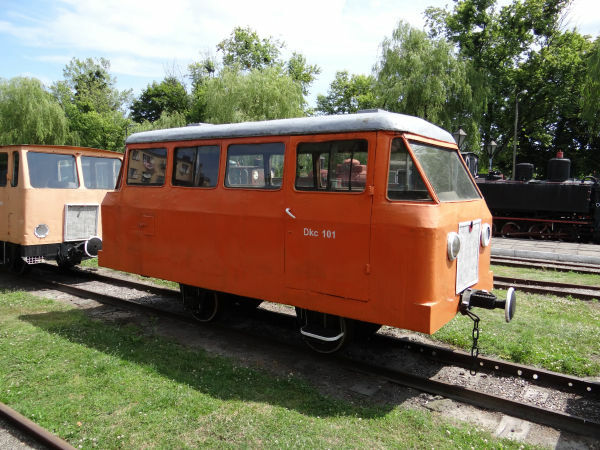 The EL05 was a 600 mm gauge electric locomotive built by LEW in the DDR. They were in use 1951-82. Picture from the narrow gauge museum in Sochaczew 28.6.2015 by Ilkka Siissalo. The type Kp4 was a Russian design which the Soviet Union forced to be built for their use in several countries, including Finland, Poland, Czechoslovakia, Hungary and the USSR itself. For more pictures, see for example the page Latvia / banitis. 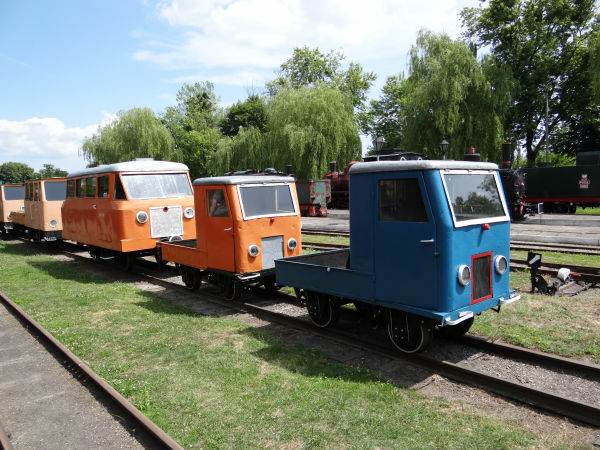 See also the section of Estonia -> narrow gauge museum in Lavassaare. 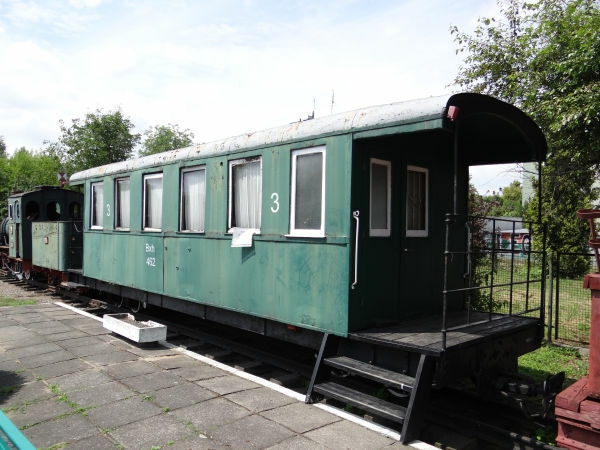 Picture from the narrow gauge museum in Sochaczew 28.6.2015 by Ilkka Siissalo. The type T3 is an old Prussian (German) type from the 1800s. They were used by some factories even after the old Prussian area became Polish. Picture from the narrow gauge museum in Sochaczew 28.6.2015 by Ilkka Siissalo. 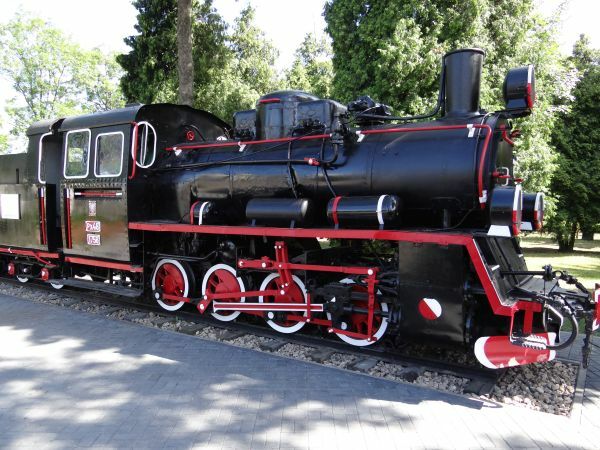 This 750 mm locomotive marked "CZ 4" was built by Orenstein & Koppel in Berlin in 1924. 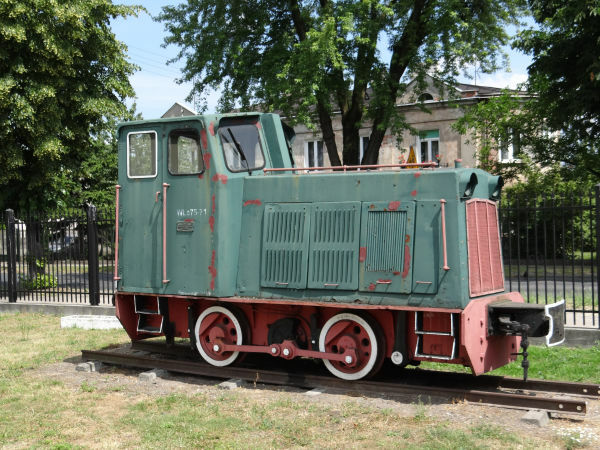 It was purchased by a sugar refinery in Zbiersk, where it was marked CZ 4, to haul sugar beet trains. It went to the Warsaw Railway Museum in 1984 and was transferred from there to Sochaczew. 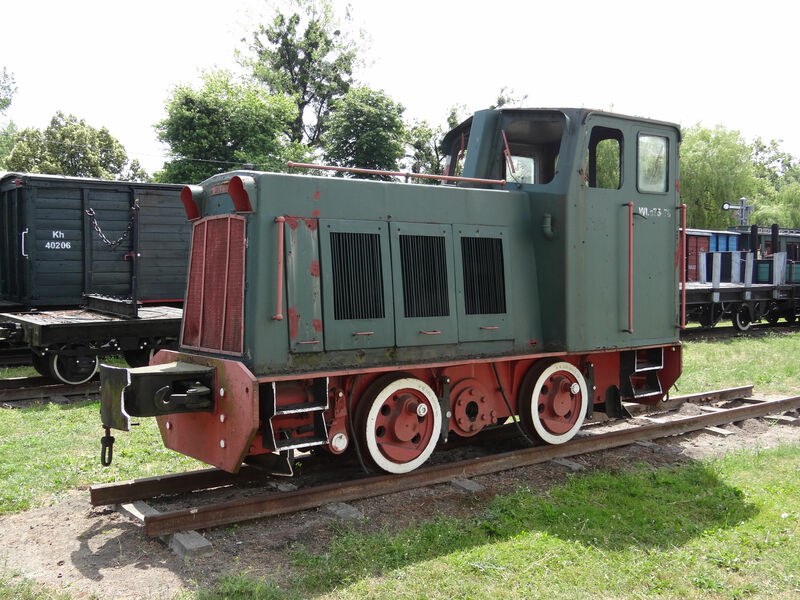 Picture from the narrow gauge museum in Sochaczew 28.6.2015 by Ilkka Siissalo. This 750 mm locomotive class Ty1 was built by Krauss in München, Germany and was used by ZPC Nowy as their No. Ty1-15506. 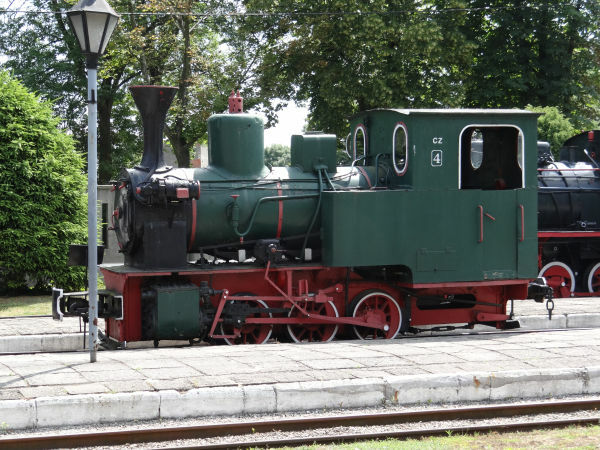 Picture from the narrow gauge museum in Sochaczew 28.6.2015 by Ilkka Siissalo. Socialist time rail trucks for 750 mm gauge rails. 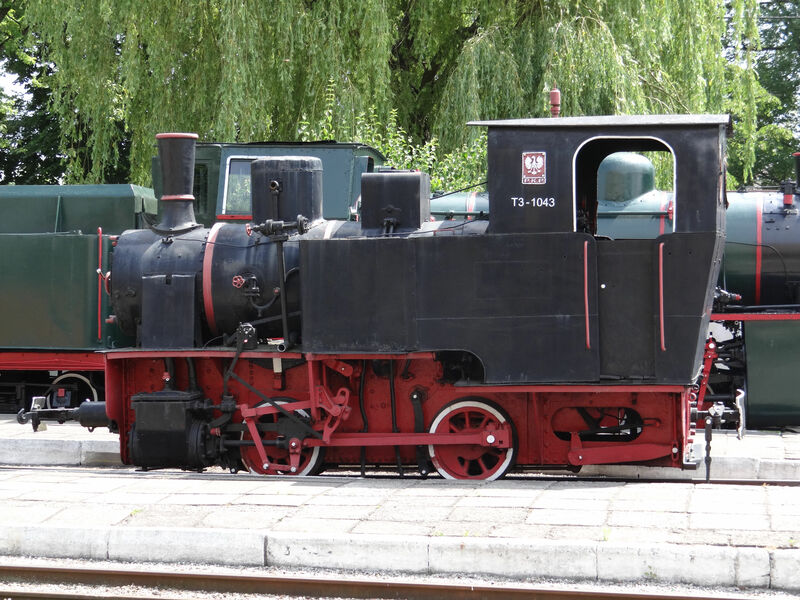 Picture from the narrow gauge museum in Sochaczew 28.6.2015 by Ilkka Siissalo. 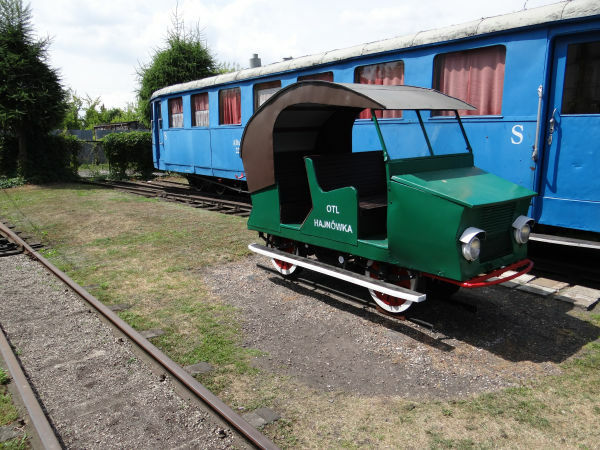 This 750 mm gauge motor draisine was made by Przeworsk in 1972 as their model S-47A. Picture from the narrow gauge museum in Sochaczew 28.6.2015 by Ilkka Siissalo. 750 mm gauge motor draisine Wmc 001. Unfortunately no further information was to be found anywhere. 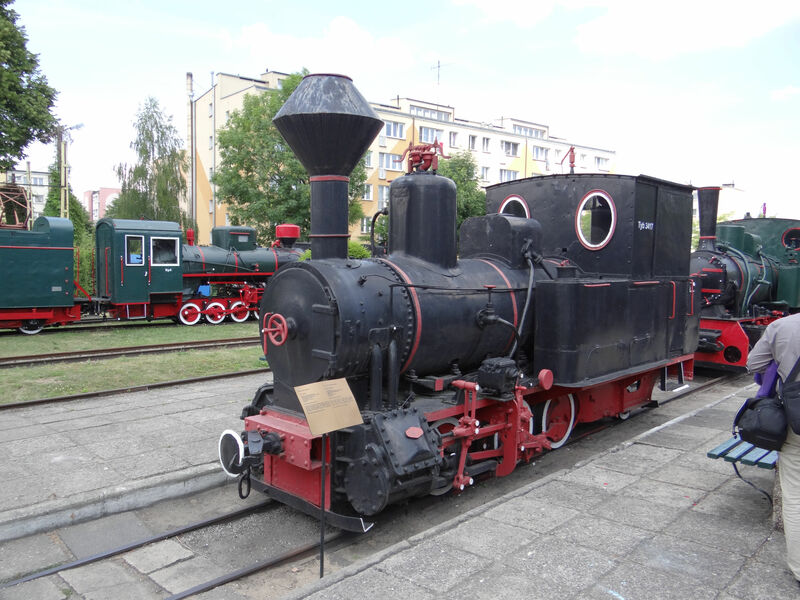 Picture from the narrow gauge museum in Sochaczew 28.6.2015 by Ilkka Siissalo. The Polish class Tyb6 is a German metre gauge locomotive made by Krauss in München in 1909. There is a similar one, no.3407 in a museum in Gryfice, northern Poland. It's rare to see that both no. 3406 and 3407 have survived. Picture from the narrow gauge museum in Sochaczew 28.6.2015 by Ilkka Siissalo. The class Tya6 no. 3326 was built by Jung in Germany as their no. 3054 in 1919. 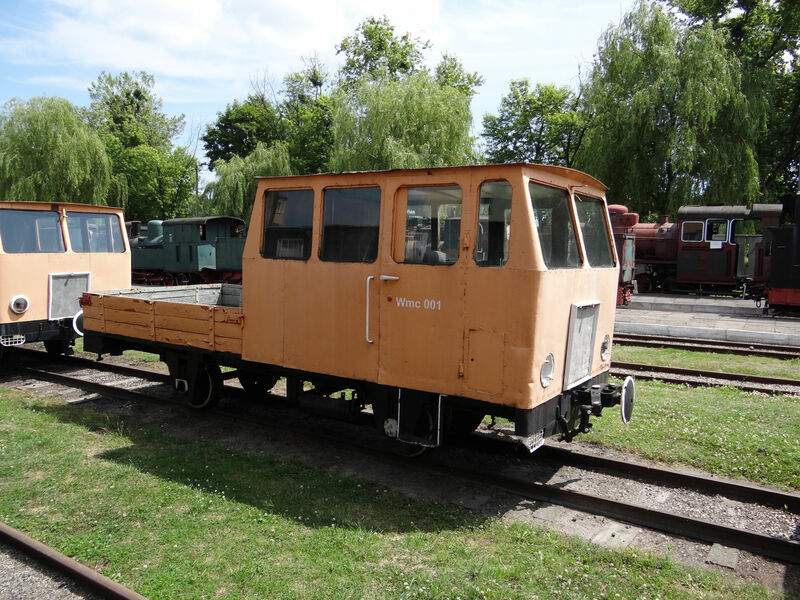 It is a metre gauge machine and it worked on the Elk (German: Lyck) narrow gauge railway in former East Prussia as long as the line was metre gauge. In 1951 the line was converted to 750 mm gauge. 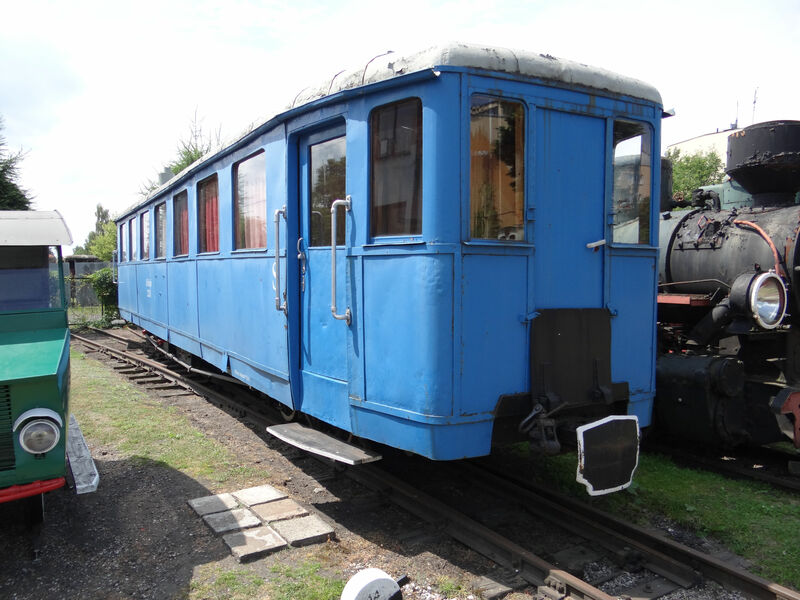 Picture from the narrow gauge museum in Sochaczew 28.6.2015 by Ilkka Siissalo. The class Ty6 no. 3286 was made in German Breslau by Linke-Hoffman. No further information was to be found anywhere. Picture from the narrow gauge museum in Sochaczew 28.6.2015 by Ilkka Siissalo. This small locomotive was built by Orenstein & Koppel in Berlin, Germany in 1916, first as a 750 mm gauge machine. In 1916 it was known as WKD 66, then later as PKP Ty2 2850, from 1953 onwards as Ty2 1146, and from 1961 onwards as Ty3-1162. It was converted to 800 mm gauge in 1962 and renumbered to PKP Ty3-2845. It was regauged back to 750 mm in 1963 and became again Ty3-1162. It has been in several museums since 1973. Picture from the narrow gauge museum in Sochaczew 28.6.2015 by Ilkka Siissalo. The "Feldbahn" locomotive WLs50 was used in Poland at several factories, for example at the Dobre sugar factory for transporting sugar beet roots. 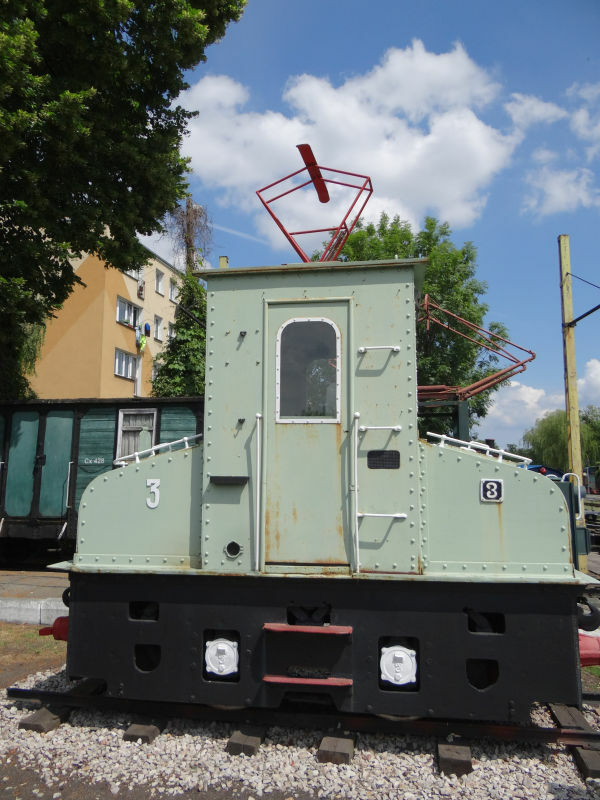 This one was made in 1964 and was in use until 1989 at the Ciechanów sugar factory. 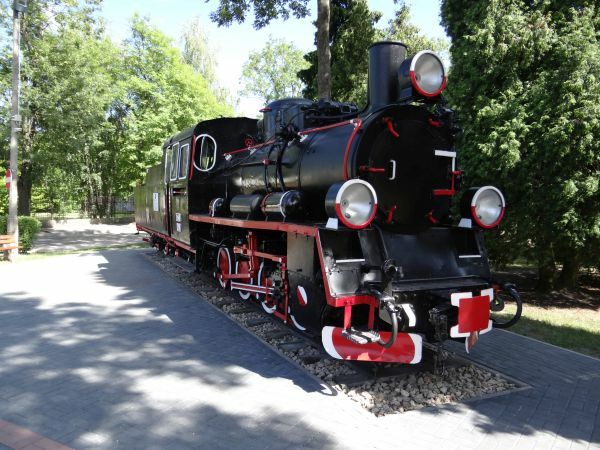 The locomotive is a close copy of a pre-war German Feldbahn locomotive type. Picture from the narrow gauge museum in Sochaczew 28.6.2015 by Ilkka Siissalo. The type WLs75 was made 1965-1975 at Zakładach Naprawczych Taboru Kolejowego w Poznaniu in Poznan and was used at several factories. This one was in use at the Cukrowni Ostrowy sugar plant until 1985. Picture from the narrow gauge museum in Sochaczew 28.6.2015 by Ilkka Siissalo. Another WLs75. Picture from the narrow gauge museum in Sochaczew 28.6.2015 by Ilkka Siissalo. 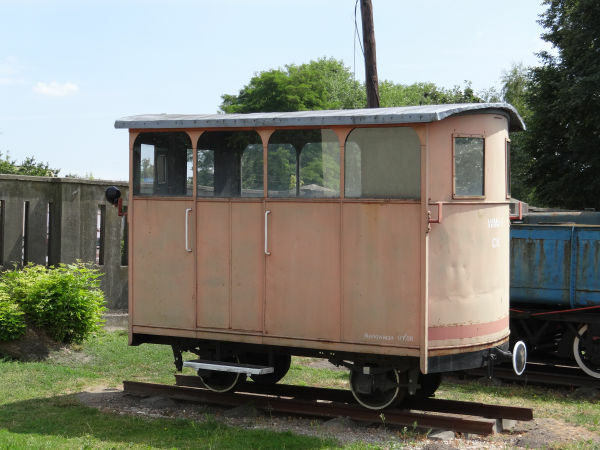 This one was told to be "motorised wagon WMc-5" and that it was made in Poland. No other information was found anywhere. 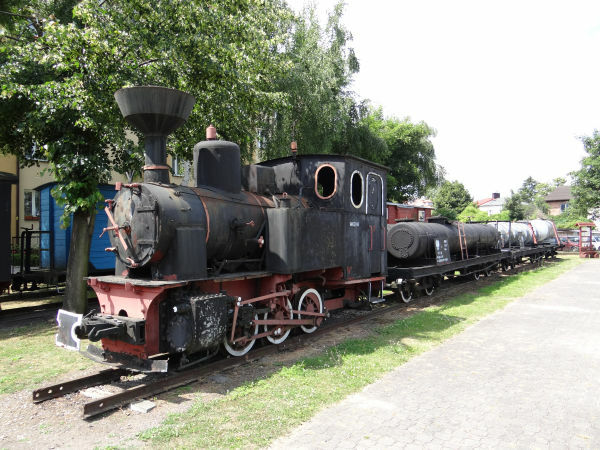 Picture from the narrow gauge museum in Sochaczew 28.6.2015 by Ilkka Siissalo. 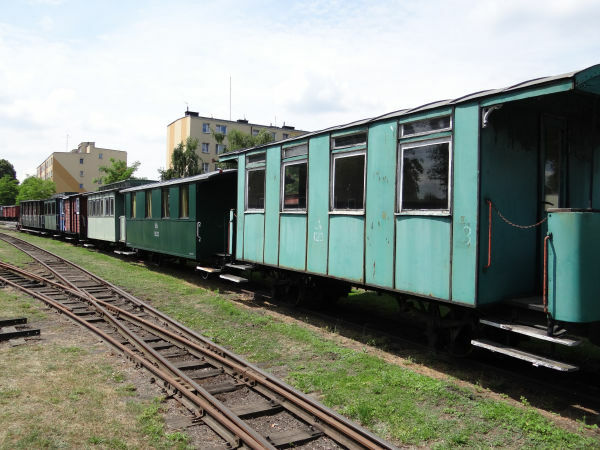 A rake of old passenger coaches to haul tourists on the 750 mm line close to Sochaczew. 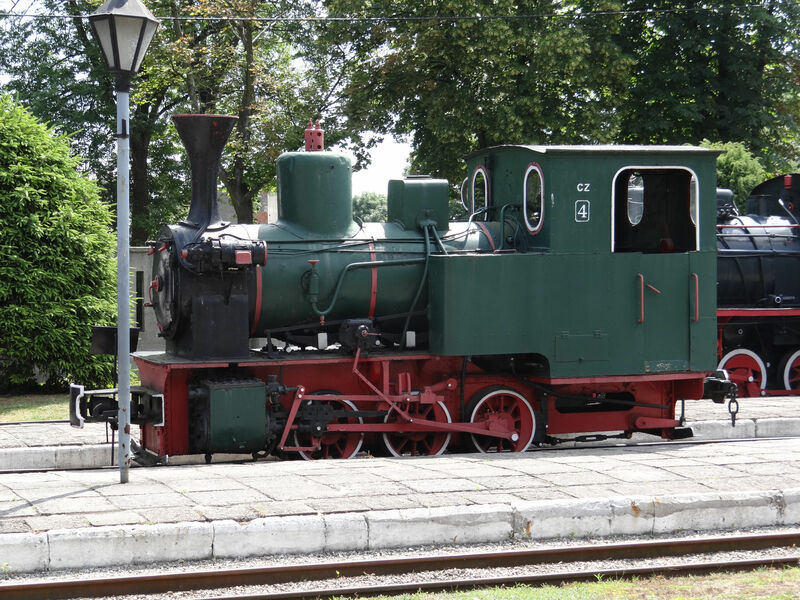 Picture from the narrow gauge museum in Sochaczew 28.6.2015 by Ilkka Siissalo.